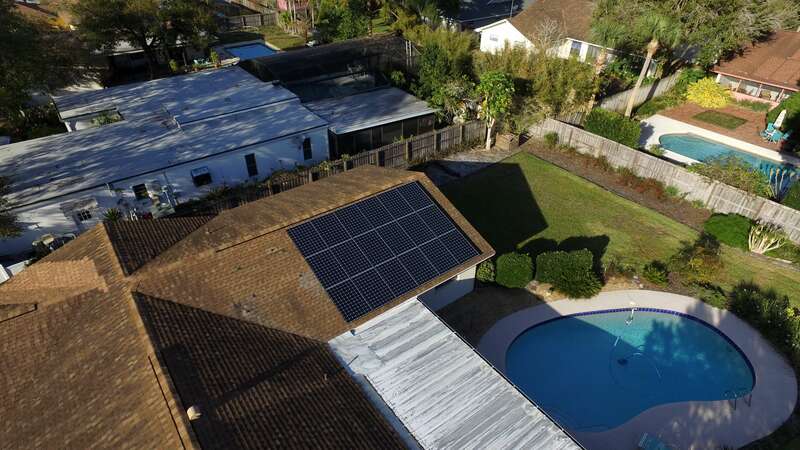 How You Save By Owning Your Own Solar Power System - Florida Power Services "The Solar Power Company"
Are you thinking about buying some solar panels for your roof? Even though solar costs in Tampa are going down, you will save more if you buy your system today. Before you look for solar installation financing in Tampa, Florida, you need to understand your options. The best way to finance a new solar power system is to pay cash and own it outright. Solar costs in Tampa are falling. This may lead you to believe that you can save more money by waiting for a better solar price, but that is not true. If you buy an average 11.7-kilowatt solar system model today, you will end up paying around $22,000 . When you put that system on your south-facing roof, it will produce electricity that is worth around $4,200 over the next two years. If prices continue to drop at the same rate over the same time, you will save $2,250 by choosing to wait. When you do the math, it shows that you will save $1,950 if you act now. If your utility rates go up, your return on investment will be even higher. For example, imagine that your cost per kilowatt hour goes up by 5% tomorrow. Should that happen, you will end up saving $2,160 in energy costs for the next two years. If you buy your panels today, you get to beat your utility and its constantly rising rates. You have many options for solar installation financing in Tampa, Florida. One of these choices is leasing your solar panels, which requires little to no money down. This may seem like a good option at first, but it is much more costly in the long run. When you lease, you don’t own the power system on your roof. You are actually borrowing it from a business that you pay for every kilowatt the system produces. It also enables you to claim any solar tax benefits when you lease. By paying the full price up front, you don’t have to go through the hassle of getting a loan, and you only pay for the cost of the system itself. There are no interest and fees, which means your return on investment from energy cost savings is much higher.